Meet a boy named Cookie. 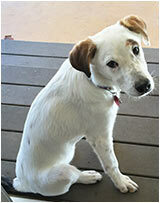 Cookie Saia is a 7 month old American Heeler, Retriever, and German Shepherd mix. His favorite Downtown activity to date was strutting in the Labor Day Pet Parade. He had a great time and met all kinds of new two and four leg friends. If you see Cookie with his family; Sal, Celeste, Carol, and Nick, make sure to say hi. The Adkins House was built circa 1910 as a carriage house for 301 Spruce before being moved to its’ current location. After purchasing it in 1939, Frank and Elizabeth Adkins lived in the house for 50 years. Those beautiful Clydesdales are in town through December 31. After you go for a skate, take a FREE ride around Downtown for a real treat. Regular Parade of Lights festivities will begin half an hour earlier at 5:30 pm. The Parade starts at 7:00 pm. There will be a petting zoo, local choir, Santa, hot chocolate and more! Main Street will close at 5:00 pm from South to Pine Street to kick-off First Friday Art Walk and to get ready for the Parade. City Hall will be open until 9:00 pm to provide public restrooms for Parade attendees. Free gift wrapping will also be available at City Hall. Look for the Red Scarf! Retailers and all the volunteers will be wearing a red scarf during the evening festivities if you need help or have questions. The annual “Holiday Shopping Passport” will be handed out by volunteers. Participating downtown retailers will be offering savings up to 50%. Passports can be used throughout the holiday season. The Historical Museum will be open offering a holiday snack bag to kids in the old tradition of Louisville. The Library will feature the music of Now and Then recorder group before the Parade starts. (see details below). Celebrate the holidays with Old Friends. There will be giveaways, wine and apps and a whole lotta deals. Also if you’re a guy who doesn’t know what to give the woman in your life, make sure and get to MEN’S NIGHT at Old Friends on December 15 from 6:30 – 9:00 pm. Not only will there will plenty of helpful gift advice, but spirits and apps to ease the shopping pain. Sadly we say good-bye to a dear old friend and Louisville treasure. The Fuzzy Antler’s last day will be December 30 and everything must go. All store items are 20-30% off except for local artists’ paintings and prints. We wish them all the best and bid a fond farewell. Registration is now taking place for the Flatiron Youth Chorale and Flatiron Women’s Contemporary Chorale. Explore music theory, vocal technique, and more. Singers will learn to find their voice and blend with other singers and learn to create a great sound within. All skill levels and voice types welcome. Also check out all the available children’s classes starting at pre-school level. Visit the website, www.danavmusic.com, to explore the many options available. Local favorites Ann Hughes and Pat Hubbard and their daughter, Erin Rose Hubbard, and her fiancée, David Martinez, (they go by “Jitensha”) will be performing their original music at Balfour. The concert is free and open to the public. 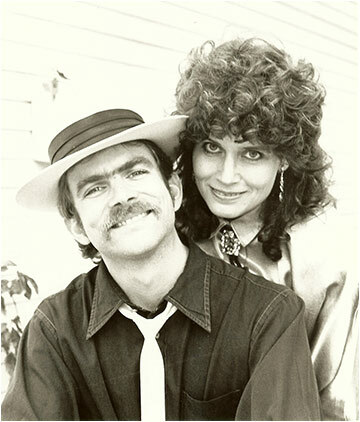 Annie is a singer, songwriter, and storyteller with roots in folk, pop, and country music. Pat Hubbard is a singer/songwriter, producer, engineer and multi-instrumentalist. Jitensha, currently based in Montreal, delivers unique original music featuring sweet, complex harmonies soaring over masterful guitar and banjo. Erin grew up in Louisville, Colorado. What better way to work on your project than with friends and wine. Here’s a chance to socialize and celebrate the season. FingerPlay invites you to come sip, craft and be merry throughout the entire month! Achtermann Chiropractic and Massage has hired 2 very skilled Massage Therapists, Haley and Kristen. Scheduling begins on Monday, December 5th. Both therapists do Swedish, Neuromuscular and Deep Tissue massage. December introductory massage special: $10 off per session or and additional 5% off the already discounted packages. Gift Certificates available. To schedule an appointment, call 303-673-9797, e-mail acmstaff@yahoo.com or text 720-295-9212. Freshly Made Yule Log Cake! Order your Holiday Yule Log Cake! The traditional chocolate yule log is made right at the Huckleberry and creates a warm and festive tradition for your family. Orders must be in by December 20 for pickup on the 24th. Looking for something a little more casual to start your New Year’s Eve off right? The Huck is offering a 3-course dinner for $29 per guest. Reservations are recommended but not required. 393-666-8020. Check out the menu at www.thehuckleberry.com. 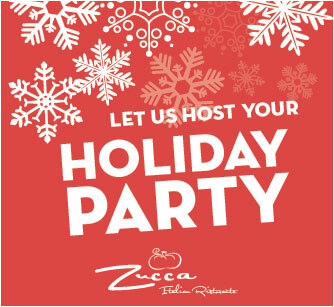 Zucca is takiing reservations for Holiday parties. Call 303-666-6499 and schedule your party today! Feel like bringing in the New Year with an Italian dinner? Enjoy a 3 course prix fixe dinner for $42 per guest. Check out the menu at www.zuccalouisville.com. Call 303-664-6499 to reserve a table. 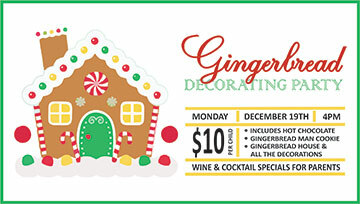 Don’t miss the first annual Gingerbread house decorating party inside /Pôr/ just behind Bittersweet Cafe. 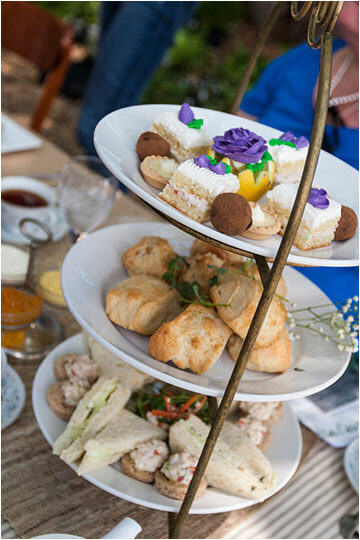 This kids-centric event is fun for the whole family and led by /Pôr’s/ talented pastry chefs! There will be wine and cocktail specials for the parents to enjoy while the staff helps the kids create their masterpiece. Just in time for the Holidays, Waterloo is “gonna be getting back to the basics and stepping up our game,” says owner Josh Karp, and rolling out a whole new menu. They’ve also expanded their whiskey selection including some hard to find specialty whiskeys. 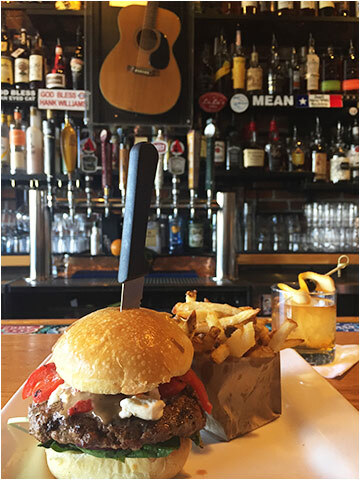 Here’s a sampling of the new menu: Green Chile Cheeseburger, Roasted Red Pepper Goat Cheese Burger, Brisket Stuffed Avocado, Crispy Fish Tacos. Sounds amazing. Waterloo will also hold a Special concert Saturday, December 3 at 9:00 pm featuring Kerry Pastine & The Crime Scene. NO COVER! The bar only will be open Christmas day from 3:00 – 9:00 pm. The Empire has a New Chef! His name is Bobby Garcia and he previously worked at il Postino in Denver as well as Silvi’s Kitchen in Arvada. He and sous chef Ken (who most recently was at Oak on Fourteenth and worked for Mario Batalli in NYC) have been perfecting some of the Empire classics as well as creating their favorite comfort dishes. Empire is still taking reservations for holiday parties. Contact Lexi at lexi@theempirerestaurant.com or call the restaurant at (303) 665-2521. Nothing like a little music and some light refreshments before the Parade of Lights to put yourself in a festive mood. 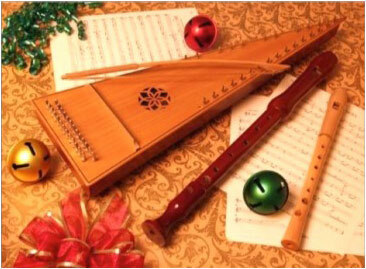 Enjoy the holiday music provided by recorder group, Now & Then. 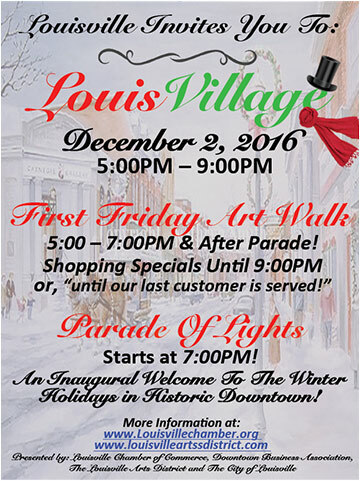 The Museum will be open from 4:00 to 8:00 pm for both the Art Walk and the Parade of Lights. The Museum also plans to bring back the Louisville holiday tradition of handing out sacks of simple treats to children. For decades, from the 1920s to the 1980s, Louisville community organizations paid for and put together these sacks that typically contained an orange, nuts in the shell, and pieces of ribbon candy. This year, a big thanks to the Louisville History Foundation for sponsoring the Christmas treat bags. Dr. Erin Macdonald, astrophysicist with Stellar Solutions, Inc., will walk you through the Star Wars universe and explain the probable, possible, and impossible science behind the Star Wars films. Discuss possible technologies, planets, space travel, and more. This program is open to all ages, no registration is necessary to attend. About a dozen subdivisions were added to Louisville’s original downtown by 1912. Though Louisville was a small town, it also had distinct neighborhoods, some of which were based on where people had come from, such as the neighborhoods of Little Italy, Frenchtown, and the English neighborhood of Kimbertown. Museum Coordinator Bridget Bacon will give a presentation on these subdivisions and neighborhoods that still define Old Town.